Mexican fix with Pedro's - CHOMP! SLURRP! BURP! 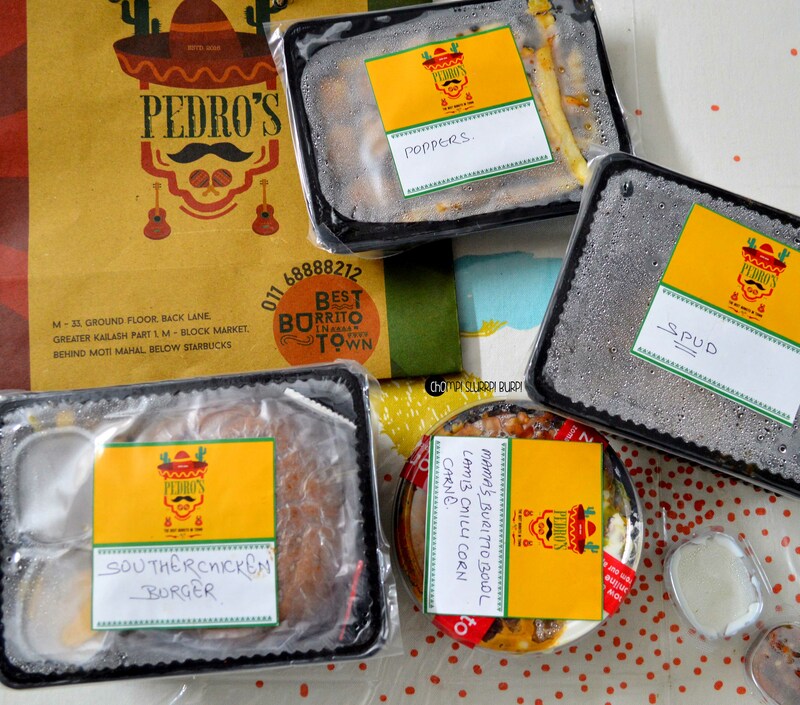 Pedro’s serves on point Mexican food to your doorstep with everything from Burrito bowls, lunch platters, humongous burgers and fried crispies. They are serving hands down amazing Mexican food, true to the flavors and portions. For starters we tried Tornado crispy spud and Jalapeno el nino poppers. 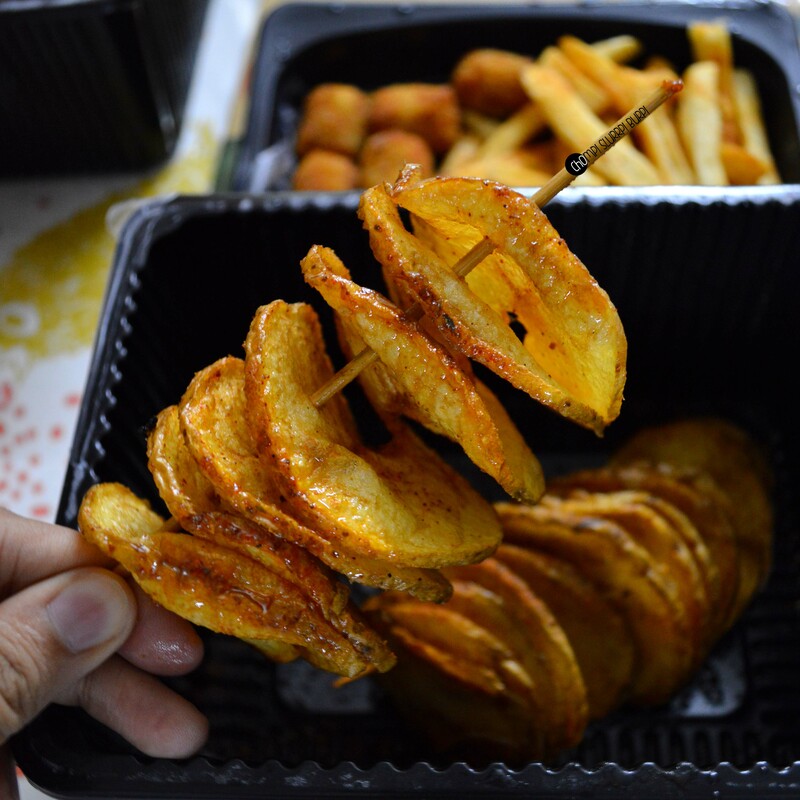 Twisted potato on a stick, crispy fried and drizzled over with just the right spices. The jalapeno poppers with cheese and palatable jalapeno flavors. 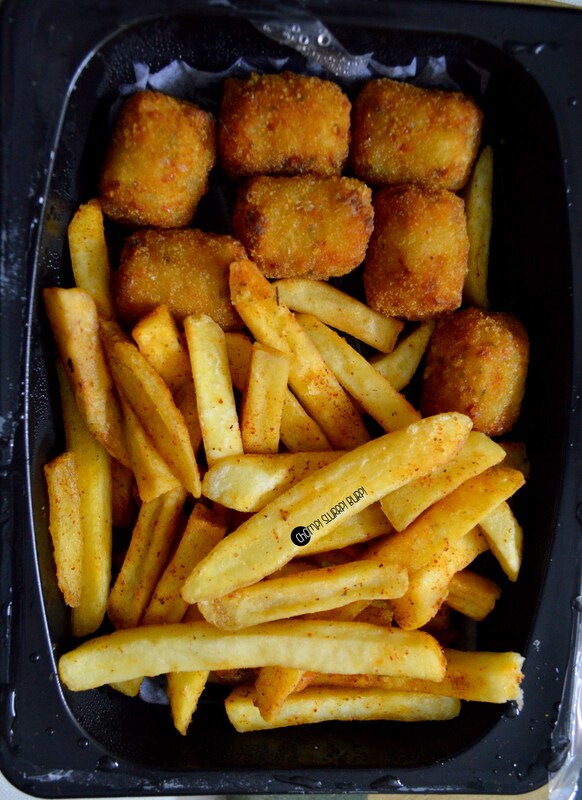 The fries were crispy, juicy and again sprinkled over with all things nice. Mama’s Burrito bowl – lamb chilli con carne with flavorsome rice, beans veggies, house made guacamole and sour cream. The burrito bowl became a little disheveled by the time we actually got around to it but the zest was intact.Fresh tangy salsa, creamy sour cream, crunchy greens and kidney beans with toothsome lamb shards and crunchy rice. The amalgamation of all the flavors was very toothsome. 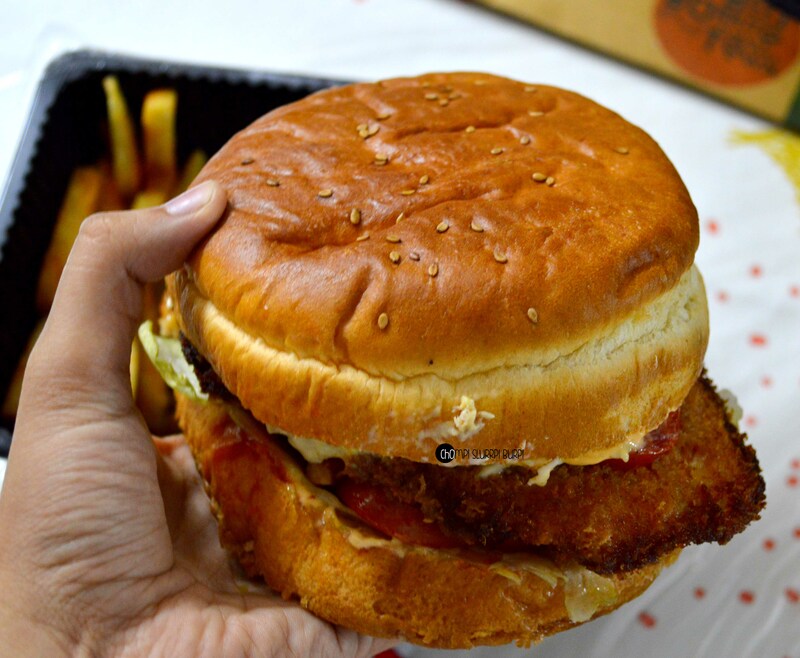 Southern chicken burger – a Herculean sized burger with a sesame seed bun, panko crusted fried chicken patty, lettuce, tomatoes, cheese, chipotle mayo and salsa. The juicy chicken patty with cheese and chipotle mayo was very satiating. The burger bun however was a tad dry and even though perfectly dressed, the dry bun was kind of a kill joy. What you can’t miss at Pedro’s? 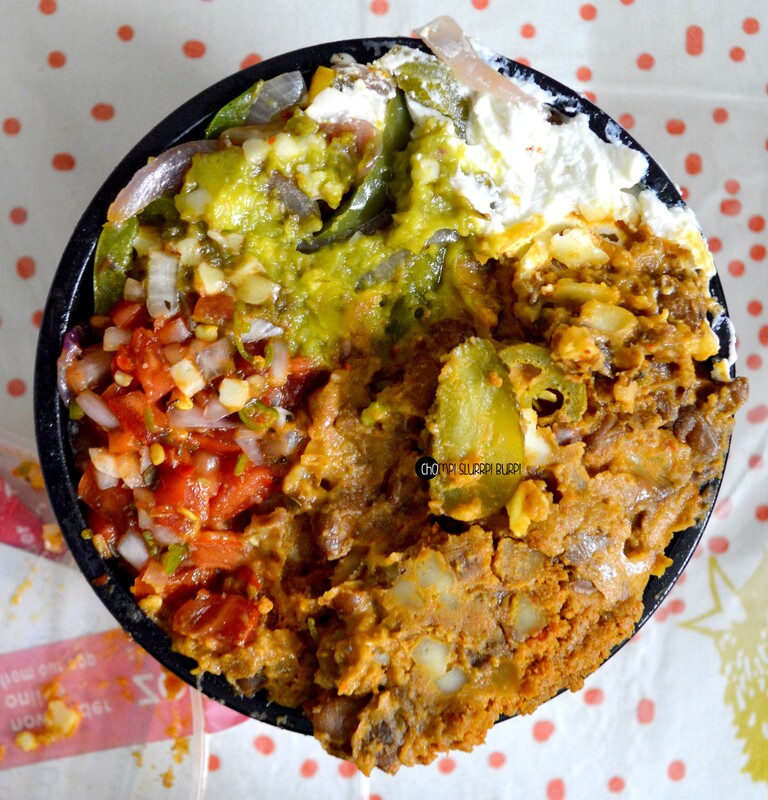 Their burrito bowls, huge burgers and tornado crispy spud.